Don't wait for someone to bring you flowers. 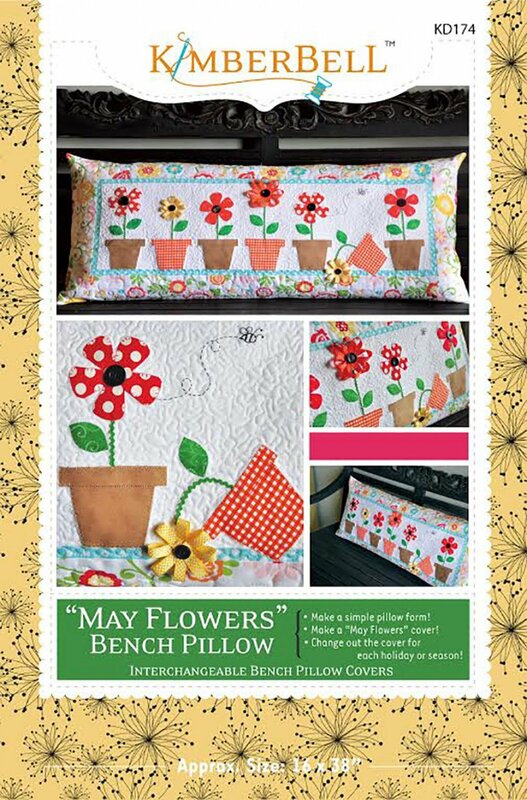 Plant your own garden and decorate your soul with this 'confident beginner' applique bench pillow by KimberBell. You will learn basic raw-edge applique techniques as well as, adding embellishments, and creating a envelope pillow backing. If you?re not in the mood for a pillow, this project also makes a beautiful wall hanging. Spring is the way nature says 'let's party'.